This particular forum page has been set up to air some of the increasing amount of concern in the magnesium industry regarding the continued use of sulphur hexafluoride as a cover gas for molten magnesium. This gas is now recognised as one of the world's worst greenhouse gases. Because of its high chemical stability, it remains in the upper atmosphere of the earth much longer than carbon dioxide. In addition, the price of sulphur hexafluoride is continuing to increase as supply is limited. The future price of SF6 is unclear as suppliers try to get out of the market to gaurd against long-term legal liability for their products. Balancing this is the desire by the power transmission industry to minimise the use of SF6, possibly freeing up supply to the ever expanding magnesium production and casting industries. Below are three of the inquiries to The Magnesium Home Page. Please feel free to add your comments! The Australian Greenhouse Office, through Burnbank Consulting, is researching current and likely expected future patterns of emissions, production, use, and disposal of synthetic gases. The research will lay the foundation for environmental management strategies for the Synthetic gases (HFCs, PFC, SF6) included in the Kyotol Protocol, and will assist Australia meet its international obligations under that Protocol, as quantified for the first commitment period of 2008 to 2012. In commencing that research, I have noted that the Global Warming Potential of the gases is very high (23,900 in the case of SF6) so small increases in their emissions can lead to measurable increases in CO2 equivalent emissions. I also noted that the Protocol allows Nations to use 1995 as the base year in place of 1990 for these Synthetic gases when calculating the greenhouse gas emission commitment. Australia�s response to the greenhouse challenge is set down in detail in the National Greenhouse Strategy (NGS), published in 1998 and available at www.greenhouse.gov.au/pubs/ngs. The strategy emphases on industry, government consultation and cooperation and balances the needs of different needs of different sectors, some growing while others decline in importance. I would like to hear from readers on expected developments in SF6 use. As the magnesium industry is a growth sector and a significant user of SF6, I am interested in views on how usage might change over the next decade with new technologies, and SF6 saving innovations. However SF6 has a range of other uses, and so any ideas or experience relevant to developing a management strategy would be welcome. If you would like to respond to Harvey's comments, please e-mail the Editor of this forum and your comments will be posted. 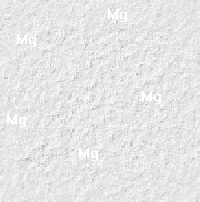 My name is David Smith, and I am the Purchasing Agent for Meridian Technologies Inc., Magnesium Products Division in Strathroy, Ontario, Canada. We have sister companies in the magnesium die-casting industry located in Michigan and Italy. We die-cast and machine magnesium parts for the automotive industry. We were able to hedge against the initial increases in SF6 prices early this year by pre-buying our requirements for 1996 at the prices in effect in mid 1995, and we have now had to commit to future supplies at prices far in excess of our present costs. In the process we have had some scares about even higher prices and possible stock-outs, but have had no interruption in production. Prices discussed have gone as high as $3800 for a 115 lb cylinder, a far cry from $585 which we were paying two years ago. Corporately we are making every effort to reduce usage of SF6. In addition we are introducing argon gas displacement pumps, which we believe will much reduce SF6 consumption, and we are in close touch with Norsk Hydro on experiments in Sulphur Dioxide, which I believe they are conducting in Europe. Sulphur Dioxide, of course, has its own drawbacks, and we are not sure this will be the final solution to replacement of SF6. I believe the pricing of SF6 will be far more effected by the moves made in the electrical industry than by anything we can do in the magnesium industry. As the electrical demand falls supply will once again come in line with demand. However if the product is banned we will have to face a technological decision, which may well take us through some less than ideal stages before a final resolution is reached. My hope is to learn of other developments which may be looked on as possible solutions to a worldwide problem. If you would like to respond to David's comments, please e-mail the Editor of this forum and your comments will be posted. Noranda Inc is planning to build a new magnesium production facility of capacity 58,000 tpy. The project is called the Magnola project and consists of extracting the metal from asbestos tailings. The plant will be constructed near the Town of Asbestos, Quebec, Canada, where tailings piles in excess of 100 million tons are available. A small scale pilot plant is now built to test the propriety Noranda process, and is presently in the comissioning stage. If pilot proves out, construction of the commercial size plant will commence in 1998, to be completed in 2000. A troubling issue for Magnola is the pending phase-out of SF6 production announced by DuPont. Sulphur dioxide has been mentioned as a substitute; but obviously is not a welcome surrogate. Any new developments out there for an SF6 substitute? If you would like to respond to Rick's comments, please e-mail the Editor of this forum and your comments will be posted. The information displayed on this page is provided for reference only. The editors do not endorse or in any way recommend the views of the persons listed and expressly excludes liability for and damage, loss or injury that a person may suffer as a result of any dealing with an organisation or person listed above.